Highlights of Reference Number: 201030030 to the Internal Revenue Service Chief, Criminal Investigation. The Criminal Investigation Division's (the Division) primary resource commitment is to develop and investigate legal source tax crimes. The prosecution of these cases is key to supporting the Internal Revenue Service's (IRS) overall compliance goals, enhancing voluntary compliance with the tax laws, and promoting fairness and equity in our tax system. This audit was initiated as part of TIGTA's Fiscal Year (FY) 2010 Annual Audit Plan and addresses the IRS' major management challenge of Tax Compliance Initiatives. The overall objective of this review was to provide a statistical portrayal with trend analyses of the Division's enforcement activities for FYs 2000 through 2009. The Division achieved its goal, spending 52.4 percent of its time on legal source tax and 72 percent on total tax investigations, both at a 10-year high. The Division also reported that the number of legal source tax investigation initiations increased by 13.3 percent and the number of tax-related initiations increased by 14.4 percent. Further, the number of subjects convicted of legal source tax crimes increased 2 percent from FY 2008 and has increased 17.5 percent since FY 2004. Similarly, the number of subjects sentenced for legal source tax crimes also increased 10.5 percent from FY 2008 and has increased 40.6 percent since FY 2004. These percentages validate that tax cases are a priority for the Division. However, the Division did not meet its goal to complete 3,900 investigations, and instead only completed 3,848 investigations during FY 2009. According to Division management, increased resources that were devoted to the prosecution of investigations in the pipeline inventory during FY 2008 resulted in a significant decrease in FY 2008 subject investigation initiations and a related decrease in case completions during FY 2009. The Division also uses the number of convictions and the conviction rate as budgetary performance measures. The Division did not meet either of its established goals for these measures, reporting declines in both the number of convictions and the conviction rate in FY 2009. Increased numbers of dismissals during FY 2009 (resulting from efforts to reduce the pipeline inventory) caused the drop in the overall conviction rate. In addition, the Division continues to work on increasing its special agent staffing and coordinating with the operating divisions to strengthen the Fraud Referral Program. Although TIGTA made no recommendations in this report, IRS officials were provided an opportunity to review the draft report. IRS management did not provide any report comments. In United States v. Hills, 618 F.3d 619 (7th Cir. 2010), here, the Seventh Circuit addressed many common defendant arguments for reversal of their convictions and, for the most part, rejected them on grounds familiar to practitioners. The opinion is 45 pages long so I pick out only a few items that I think worthy of calling to the attention of readers. 1. Speedy Trial. The court rejected arguments that the statutory and constitutional rights to speedy trial had been violated. During the pre-trial phase, the attorney for one of the defendants made a strategic decision that he needed more time to prepare for trial even though his client did not want him to seek a continuance. Notwithstanding [his client's] position, however, [the attorney] thought it best to continue the trial. [The attorney] told the district court that he had explained to [his client] that seeking a continuance was within his discretion as an attorney, and that he believed it was in [his client's] best interests to have the trial continued. James H. Giffen, the target of an extensive FCPA investigation and indictment (including two superseders), recently resolved at least criminal woes -- at least some of them -- through a plea agreement. I write on that plea agreement because the plea is to a tax count and it raises some interesting issues. The plea agreement and the information with the count of conviction pursuant to the plea are here and here. First I will just provide a summary of the plea agreement and then raise the issues that interest me. Giffen pleads to the one information count charging "willfully failing to supply information regarding foreign bank accounts, in violation of Title 26, United States Code, Section 7203" for the year 1996. The reference is to the foreign account question on Schedule B of the 1996 return. Section 7203 is a misdemeanor with a maximum incarceration period of one year and, according to the plea agreement, a maximum fine of $25,000. Giffen waives the statute of limitations for the charge to which he pleads. That statute of limitations expired normally six years after the date he filed the return (approximately March 27, 1997, according to the information). The Ninth Circuit issued yet a third published opinion in The Kawashima cases. The first was Kawashima v. Gonzales, 503 F.3d 997 (9th Cir. 2007), withdrawn 503 F.3d 1111 (9th Cir. 2008). The second was Kawashima v. Mukasey, 530 F.3d 1111 (9th Cir. 2008), withdrawn sub nom. Kwashima v. Holder, 593 F.3d 979 (9th Cir. 2010). The third now is Kawashima v. Holder, 615 F.3d 1043 (9th Cir. 2010) here, decided 8/4/10. I have written on Kawashima before here, so now update those comments. The language sets up a nice issue of statutory interpretation. Are tax offenses included in (i) or not? If tax offenses are included in (i), then (ii) is superfluous because the capstone tax offense in (ii), tax evasion, is a crime of "fraud or deceit" covered by (i). Principally for this reason, the Third Circuit held that (i) does not cover tax offenses. Ki Se Lee v. Ashcroft, 368 F.3d 218 (3d Cir. 2004). But Ki Se Lee had a prominent dissenter -- Judge (now Justice) Alito -- who said that tax perjury fell within the plain meaning of an offense involving "fraud or deceit." I think this is an interesting issue of statutory interpretation inviting pet theories of statutory construction such as plain meaning and various canons to be marshaled in support of a desired result. Ki Se Lee is the lone wolf holding that tax offenses other than tax evasion are not aggravated felonies under (i). The Ninth Circuit has now reiterated its prior holding that tax offenses other than tax evasion can be aggravated felonies if they involve fraud or deceit, as tax perjury and aiding and assisting do. The majority holding on this newest opinion is a straight-forward plain meaning holding for the statute. The panel's interpretation renders subsection (ii) superfluous. Subsection (i) encompasses convictions that "involve fraud or deceit" and that involve a loss exceeding $ 10,000. Subsection (ii) encompasses tax evasion convictions where the tax revenue loss exceeds $ 10,000. Importantly, because all tax evasion convictions necessarily involve fraud or deceit, Spies v. United States, 317 U.S. 492, 499, 63 S. Ct. 364, 87 L. Ed. 418, 1943 C.B. 1038 (1943), subsection (i) necessarily encompasses all convictions encompassed by subsection (ii). The panel's interpretation thus renders subsection (ii) meaningless. At the same time, it is easy to interpret the statute to give meaning to both subsection (i) and subsection (ii). Hoffman, 101 U.S. at 115. It is an entirely reasonable interpretation that Congress intended subsection (ii), and not subsection (i), to govern tax crimes. n2 Because it is "possible" to give "significance and effect" to all parts of the statutory text, we must do so. Hoffman, 101 U.S. at 115. "We are not at liberty to construe any statute so as to deny effect to any part of its language." Id. 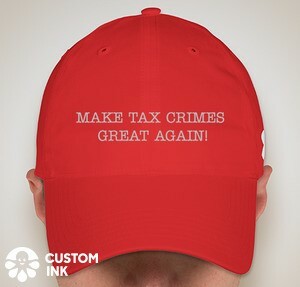 n2 As the Third Circuit explained, Congress reasonably may have concluded that no tax crimes other than the most severe tax crime -- tax evasion -- should qualify as an aggravated felony, even if the less severe tax crimes happen to involve fraud or deceit. Ki Se Lee v. Ashcroft, 368 F.3d 218, 224 (3d Cir. 2004). The panel declines to apply this mandatory analysis solely because of its speculation that Congress might have intended to enact a superfluous statutory provision. The panel's reasoning misunderstands the rule against superfluities specifically and the task of statutory interpretation more generally. It is true that no method of statutory interpretation is absolute. Indeed, even when the text is indisputably plain, we sometimes hold that Congress intended something very different (for instance, when the drafters made a typographical mistake). See, e.g., Herrera v. U.S. Citizenship & Immigration Servs., 571 F.3d 881, 886 n.5 (9th Cir. 2009). Here, Congress indeed may have intended to enact a superfluous provision. But there must be some reason to believe that this is the case. We are not at liberty to wave away an indicator of congressional intent simply because it is conceivable that Congress intended the opposite. It is always conceivable that Congress did not mean what it said, or intended to enact a superfluous provision, or intended to raise serious questions of constitutionality, and so on. The panel's observation that, here, that possibility is not beyond the conceivable does not advance the analysis. On this point, it is extremely important that all indicators of congressional intent point in the same direction: Congress intended tax crimes to be governed only by subsection (ii), not subsection (i). The panel points to absolutely nothing that suggests that Congress did not so intend, other than the alleged "plain meaning" of subsection (i) when read alone. Is there any legislative history supporting the panel's view? No. Is there any statutory history supporting the panel's view? No. Is there a statutory purpose that supports the panel's view, such as a rule that the definition should be construed against the alien? No; in fact, the opposite presumption applies, as the panel acknowledges. Amended Op. at 11199 n.6; Kawashima, 593 F.3d at 984 n.7. Are there other canons of construction that support the panel's view? No; in fact, applicable canons of construction support the opposite view, such as the rule that the "specific governs the general." See Ki Se Lee, 368 F.3d at 223-24 (explaining the application of this canon of construction). In sum, the panel's unassailable observation that the rule against superfluities is not foolproof gets the panel nowhere; there must be some indicator that, in these particular circumstances, Congress actually intended to enact a superfluous provision. Beyond its speculation, the panel points to none. In this regard, it is notable that the panel makes a point of reminding the reader no less than four times that it is following then-Judge, now-Justice, Alito's dissenting view in Ki Se Lee. The panel subscribes to, and applies, then-Judge Alito's view that the superfluities rule can be cast aside on the unsupported speculation that Congress may have intended to enact a superfluous provision. Just last year, now-Justice Alito advanced that same general view in Corley, 129 S. Ct. 1558, 173 L. Ed. 2d 443. Unable to convince a majority of his colleagues, Justice Alito expressed his views in dissent. Id. at 1572-73 (Alito, J., dissenting). The Supreme Court majority, however, roundly rejected this proposed mode of interpretation: "[T]he dissent's point that subsection (a) seems clear when read in isolation proves nothing, for 'the meaning--or ambiguity--of certain words or phrases may only become evident when placed in context.' When subsection (a) is read in context, there is no avoiding the question, 'What could Congress have been [*38] getting at with both (a) and (c)?' " Id. at 1566 n.5 (citation and alteration omitted). Whatever validity the panel's method of interpretation may have had in the past, the Supreme Court clearly rejected it just last year. The panel does not explain how its opinion is consistent with Corley. I also note that I am persuaded, at least at the margins, by the fact that the majority opinion in Ki Se Lee was written by Judge Louis Oberdoerfer was a specialist in the tax law and had headed DOJ Tax as AAG. I think this gave him unique insight, which he articulated well in his opinion and got it right. I am less enamored by then-Judge Alito's reasoning, the fall back to plain meaning that I personally find less satisfying, but understand how Court of Appeals judges may feel that it would carry the day in this Supreme Court. UPDATE ON 8/24/10: Miller & Chevalier's Tax Appellate Blog has a good discussion of Kawashima here. The right way is for the prosecutor (in an opening statement) or the judge to tell the jury that judicial permission is required and was received, and that the process of listening is subject to statutory controls. There was no legitimate reason to present hearsay about the particulars of McGee's activities or the findings of the judge who issued the warrant. Evidence must be submitted through witnesses with personal knowledge, and subject to cross-examination. And defense counsel likewise must have understood that the testimony was out of bounds -- yet he did not object. It is unlikely that counsel was asleep; the hearsay rule is second nature to any trial lawyer. Perhaps he viewed the prosecutor's misstep as a godsend. Evidence of McGee's financial exactions was going to come in from the victims, who had personal knowledge, and their testimony would be bolstered by recordings from wiretaps plus hidden microphones and cameras. The main thing the hearsay did was create an issue for appeal. A lawyer who knows that the evidence is solidly against his client may see strategic value in allowing error to occur, despite the fact that the plain-error standard will make it hard to upset the verdict on appeal. Nevertheless, the Seventh Circuit did not reverse: "Even if we are wrong in suspecting that counsel's silence was strategic (which would imply waiver and not just forfeiture), the standard of plain-error review has not been satisfied." Principle 13G of the American Bar Association's Principles for Juries and Jury Trials (2005), recommends that judges allow such interim summaries in lengthy trials, whether civil or criminal. The Seventh Circuit American Jury Project tested seven of the ABA's proposals in [*10] trials before more than a dozen participating judges; mid-trial summaries were among the tested proposals and were used in 17 civil trials. Both the judges and counsel concluded that the summaries had helped jurors organize the evidence better, improving their attention and understanding. None of the participants thought the summaries were hurtful, though 8% thought that they did not help much either. American Jury Project, Final Report 32-35, 63-65 (2008). In McGee's case the district judge allowed just one opportunity to each side, after the only weekend break. (The trial concluded before the second weekend; it was shorter than counsel had estimated.) The judge thought that a refresher would help jurors regain their focus after the break. The prosecutor spoke for seven minutes; his remarks cover five pages of the transcript. He reminded the jury that the indictment had nine counts and summarized in just a few sentences per count where the evidence stood. He did not present argument, ask rhetorical questions, or propose contestable inferences. It was a simple "just the facts" recap of the sort Joe Friday would have approved. We doubt that the second circuit would see a problem with this procedure. And if it would -- well, we think that Yakobowicz over-stated the risks and understated the potential benefits. The majority in that decision seems to have been unaware that the use of mid-trial summaries has been studied in criminal as well as civil trials, and that the opinion's fears have not come to pass. The report of the Seventh Circuit American Jury Project had not been released when Yakobowicz was issued, but other reports predated that decision. For example, a pilot program in Tennessee used mid-trial summaries in both criminal and civil cases, and the participants found that the summaries helped jurors. See Neil P. Cohen & Daniel R. Cohen, Jury Reform in Tennessee, 34 U. Mem. L. Rev. 1, 31-34 (2003). Two psychologists concluded that mid-trial summaries should reduce the prosecutor's advantage in a criminal trial by allowing the defense to undermine the prosecution's case from the outset by narratives and not just cross-examination. See Saul M. Kassin & Lawrence S. Wrightsman, The American Jury on Trial: Psychological Perspectives 136-37 (1988). They observed that the prosecutor benefits from the primacy effect -- that people give extra weight to the first information they learn about a subject. Summaries during trial may help jurors understand that the first information is not necessarily the best, and if so the summaries will improve the accuracy of verdicts. It is hard to see why mid-trial recaps should be allowed in civil trials but categorically forbidden in criminal trials, as McGee contends they should be. Support for summaries in civil trials is widespread. See, in addition to sources we've mentioned already, Federal Judicial Center, Manual for Complex Litigation §§ 12.21, 12.34 (4th ed. 2004); New York State Bar Association, Committee on Federal Courts, Improving Jury Comprehension in Complex Civil Litigation, 62 St. John's L. Rev. 549, 557-58 (1988); State Bar of Texas, Report of the Court Administration Task Force 54 (2008); B. Michael Dann, "Learning Lessons" and "Speaking Rights": Creating Educated and Democratic Juries, 68 Ind. L.J. 1229, 1255-56 (1993); Tom M. Dees, III, Juries: On the Verge of Extinction? A Discussion of Jury Reform, 54 SMU L. Rev. 1755, 1778-80 (2001); William W Schwarzer, Reforming Jury Trials, 1990 U. Chi. Legal Forum 119, 144-45; Douglas G. Smith, Structural and Functional Aspects of the Jury: Comparative Analysis and Proposals for Reform, 48 Ala. L. Rev. 441, 537 (1997). If there are skeptics, they have kept their silence. Yakobowicz thought that criminal trials are different because juries are not supposed to reach conclusions until all of the evidence is concluded. That's true of both civil and criminal trials, however. In both civil and criminal trials jurors are exposed to persuasion from the start: lawyers get to make opening statements, and questions are asked in a way that lawyers hope will influence jurors, who inevitably form tentative opinions as they hear evidence. They must keep their minds open so that opinions can change as more evidence comes in, but this does not imply that jurors, civil or criminal, are supposed to be empty vessels until they hear the judge's instructions at the very end. The sort of objections to summaries advanced in Yakobowicz also have been essayed against allowing jurors to take notes or ask questions, but those procedures have been approved in this circuit, and elsewhere. See SEC v. Koenig, 557 F.3d 736, 741-42 (7th Cir. 2009). The second circuit observed that argumentative questions (and for that matter argumentative objections to questions) are disallowed, but that's true of both civil and criminal trials -- and the reason for keeping argument out of questions is to avoid harassing witnesses and prevent an asymmetric and time-consuming presentation. Both sides can recapitulate the evidence; summaries are not windy, unilateral harangues, as argumentative questions can be. Yakobowicz also observed that there is less discovery in criminal cases than in civil, which is true, but defendants usually know more about the prosecutor's case than the prosecutor knows about the defense case, and defendants can keep it that way if they prefer. They need not use summaries to tip their hands. It is hard to see how interim summaries could change the relative informational differences established by Fed. R. Crim. P. 16. And we just don't see why Yakobowicz perceived a constitutional problem with mid-trial summaries. The due process clause is not a code of trial procedure. Many changes have occurred since 1791. One of the principal changes is an increase in the length of trials. In the eighteenth century multiple criminal trials were held in a single day. See James D. Rice, The Criminal Trial Before and After the Lawyers: Authority, Law, and Culture in Maryland Jury Trials, 1681-1837, 40 Am. J. Legal Hist. 455, 463 (1996); John H. Langbein, Shaping the Eighteenth-Century Criminal Trial: A View from the Ryder Sources, 50 U. Chi. L. Rev. 1, 115-23 (1983). Today, by contrast, a single criminal trial can last multiple weeks or months. When trials are short, there's no need for mid-trial recapitulations; when trials are long, jurors' attention and memory may wane, and the opening and closing statements may be too far apart. Nothing in the constitutional text, or the original practice, implies that days or even months must pass without any opportunity for the lawyers to give the jurors their views about where the evidence stands. Summaries equally available to both sides are no more objectionable than discovery, note-taking by juries, sending written jury instructions to the jurors, and the many changes to the rules of evidence that have accreted during the 219 years since the fifth amendment was approved. Some rules of trial procedure -- juries, counsel, confrontation, and cross-examination -- are in the bill of rights. Most are not. Living judges and legislatures may decide that incremental changes in trial procedure are beneficial. Finally, we are not persuaded by the second circuit's conclusion that any misstep with respect to interim summaries is a structural error. Circuit Judge Sotomayor was willing to assume that the district judge in Yakobowicz erred by allowing argumentative summaries after each witness. But she disagreed with the majority's conclusion that such an error is "structural." See 427 F.3d at 154-58 (dissenting opinion). Judge Sotomayor's view was vindicated by the Supreme Court's decision in Marcus, which stressed that errors are "structural" only when they change the fundamental framework of the trial -- when, for example, the judge is biased, the defendant lacks counsel, or a vital phrase such as "reasonable doubt" is misdefined, so that the jurors do not understand their task. The Justices regularly declare that errors of trial management are not structural. See, e.g., Rivera v. Illinois, 129 S. Ct. 1446, 173 L. Ed. 2d 320 (2009) (improper denial of peremptory challenge); Washington v. Recuenco, 548 U.S. 212, 126 S. Ct. 2546, 165 L. Ed. 2d 466 (2006) (improper failure to submit a sentencing factor to the jury); Arizona v. Fulminante, 499 U.S. 279, 306-07, 111 S. Ct. 1246, 113 L. Ed. 2d 302 (1991) (collecting many other examples). Allowing lawyers to be too argumentative is a problem of trial management, and it is subject to the usual doctrines of harmless error and plain error. Yakobowicz is inapplicable to non-argumentative summaries, is mistaken in concluding that criminal trials differ categorically from civil trials with respect to mid-trial summaries (both kinds of trials permit for the exercise of wise discretion by district judges in jury management), and has been overtaken by the Supreme Court's decision in Marcus. It does not assist McGee. The district judge did not abuse his discretion in allowing one short non-argumentative summary as the trial resumed after a weekend break. In United States v. Shellef, 2010 732 F.Supp.2d 42 (ED NY 2010), decided 8/5/10, the Court denied Shellef's motion for a motions for acquittal and retrial. This trial was actually his second, the first having been reversed on appeal because of improper joinder issues. United States v. Shellef, 507 F.3d 82 (2d Cir. 2007), here. After convictions on various counts on the second trial, Shellef moved for acquittal and retrial. The key counts of conviction were for the defraud / Klein conspiracy with respect to excise taxes on certain chemicals, tax perjury (7206(1)) for the 1999 income tax return for a Shellef company, wire fraud with respect to the chemical trading relating to payment of excise taxes, and money laundering. I discuss here only the tax perjury count. United States v. Jewell, 614 F.3d 911 (8th Cir. 2010), here, discussed in the last two blogs, is a jewel of many facets. This one is near and dear to my heart. The issue is whether, in proving the crime of tax evasion which requires a tax due and owing, the Government can introduce the tax returns and resulting tax liabilities of other taxpayers who are not before the court so that they can be confronted as to the claims of tax loss for their taxes, an essential element of the crime. I have discussed this issue previously here (with a downloadable memo on the subject). The elements of tax evasion are willfulness, the existence of a tax deficiency, and an affirmative act constituting evasion or attempted evasion of the tax. [Carl] Evans testified at trial that Jewell concocted the venture capital agreement as a means of significantly reducing the amount of personal income tax reported by Carl and Patricia Evans in the tax year 2000. An IRS agent testified the difference between the tax liability the Evanses actually paid in 2000 and the amount they should have paid resulted in a tax deficiency of $ 737,436. This evidence was clearly sufficient for a reasonable jury to have found the government presented evidence to satisfy all three elements of aiding and abetting tax evasion. n6 Jewell also claims the evidence was insufficient because the admission of the Evanses' 2000 tax return violated Crawford v. Washington, 541 U.S. 36 (2004). Jewell contends a tax return is "testimonial" because it is signed by taxpayers under penalty of perjury. The government offered the tax returns prior to trial as business records, and Jewell did not object to them except as to relevancy, so we review this claim for plain error only. We find no plain error. Because Carl Evans testified, Jewell had an opportunity to challenge the accuracy of the tax returns. In addition, in United States v. Garth, 540 F.3d 766 (8th Cir. 2008), abrogated on other grounds, United States v. Villareal-Amarillas, 562 F.3d 892 (8th Cir. 2009), we rejected the argument that admission of tax returns, even as to non-testifying witnesses, violated Crawford. Id. at 778 (noting Crawford did not consider business records to be testimonial, and that the defendant stipulated the tax returns were business records). [Garth] argues her rights under the Confrontation Clause were violated when the district court admitted tax returns of non-testifying witnesses. We review de novo alleged violations of the Confrontation Clause. United States v. Heppner, 519 F.3d 744, 751 (8th Cir. 2008), cert. filed, 08-5334 (U.S. July 12, 2008) [cert. denied, 129 S. Ct. 250, 172 L. Ed. 2d 188 (2008)]. The Confrontation Clause applies only to testimonial statements, such as prior testimony at a preliminary hearing, former trial, or before a grand jury and statements made in the course of police interrogations. Crawford v. Washington, 541 U.S. 36, 68, 124 S. Ct. 1354, 158 L. Ed. 2d 177 (2004). "'Testimony,' in turn, is typically '[a] solemn declaration or affirmation made for the purpose of establishing or proving some fact.'" Id. at 51 (quoting 2 N. Webster, An American Dictionary of the English Language (1828)). The Court observed, "Most of the hearsay exceptions covered statements that by their nature were not testimonial -- for example, business records or statements in furtherance of a conspiracy." Id. at 56; see also id. at 76 (Rehnquist, C.J., concurring in the judgment) ("[T]he Court's analysis of 'testimony' excludes at least some hearsay exceptions, such as business records and official records."). Garth stipulated at trial that the tax returns were business records to avoid the "need to bring in a business records witness." She makes no attempt, in her brief, to argue that the tax returns were testimonial. And, in fact, the returns were not prepared for litigation, as is expected of testimonial evidence. See United States v. Torres-Villalobos, 487 F.3d 607, 613 (8th Cir. 2007) (holding that warrants of deportation were "properly characterized as non-testimonial official records that were prepared independent of this litigation" and were not prepared "to prove facts for use in future criminal prosecutions.") Consequently, the admission of tax returns did not violate Garth's right to confront her accusers. I am not persuaded. Tax returns are quintessentially testimonial. Taxpayers are required to sign under oath to reinforce that the Government needs the truth and will rely upon the oath to establish the truth until and unless an audit proves the contents of the return are not truthful and then the Government may prosecute for tax perjury -- yes, that's perjury, of the tax perjury variety in Section 7206(1) -- if they are not truthful. Perjury is the punishment for false testimonial statements. Beyond being quintessential "testimony" in this respect, I had thought that Crawford made clear that some exception to exclusion of hearsay does not alone suffice to meet Confrontation concerns, yet the Eighth Circuit seems to suggest that the business record exception suffices. In this regard, I think the Garth court reads the Crawford majority's passing comment to business records far too broadly: merely because some business records may not be testimonial does not mean that all are not testimonial and thus pass Confrontation scrutiny. The Crawford court was going back to basics of constitutional interpretation which, I doubt, would read into the Confrontation guaratee a business records exception created to address hearsay issues for what is plainly testimonial statements in a tax return. And what does preparation for litigation have to do with whether or not statements made under oath are testimonial and prosecutable for perjury? Perhaps the Court's final holding is that the Garth did not timely raise the objection, but it seems to me that the error in Garth is plain and the holding is wrong. At least I have seen nothing in the reasoning of the defendant losses on this issue that is persuasive to me. But, then, I am not the judge. Of course, the taxpayer's testimony in Jewell does satisfy the Confrontation concerns because only a single couple's tax returns were involved and the principal of those taxpayers -- Carl Evans -- did testify and was subject to confrontation to the extent the defendant and his counsel chose to confront him. Jewell also claims he cannot be guilty of tax evasion because the Evanses eventually paid their taxes. Jewell relies upon a case from the Ninth Circuit for the proposition a defendant must intend a permanent escape from paying a tax and not merely a postponement. See Edwards v. United States, 375 F.2d 862, 867 (9th Cir. 1967) ("[E]vasion and defeat . . . contemplate an escape from tax and not merely a postponement of disclosure or payment."). The Eighth Circuit has not adopted such a position, however, and the Ninth Circuit itself has limited Edwards to the unique facts involved in that case, where there was no evidence at all of an intent to avoid payment of taxes, but merely to delay. See United States v. Huebner, 48 F.3d 376, 380 (9th Cir. 1994) (indicating the escape not postponement "statement in Edwards must be read in the light of the facts of that case."). The fact that the Evanses eventually reconciled their tax deficiency with the IRS does not exonerate Jewell where a reasonable jury could determine he had the intent to assist the Evanses with evading taxes in the tax year 2000. This circuit has also traditionally allowed the admission of evidence under the "inextricable intertwinement" or "intricately related" doctrine. See United States v. Conner, 583 F.3d 1011, 1018 (7th Cir. 2009). The inextricable intertwinement doctrine is based on the notion that evidence inextricably intertwined with charged conduct is, by its very terms, not other bad acts and therefore, does not implicate Rule 404(b) at all. "In other words, evidence admitted under this doctrine lie[s] outside the purview of the Rule 404(b) character/propensity prohibition, and is not subject to its constraints regarding the manner in which the evidence may be used." Conner, 583 F.3d at 1019 (internal quotation marks and citations omitted) (alteration in original). Even if evidence is initially deemed admissible under any of these three doctrines, however, that evidence must still pass muster under Rule 403's balancing test to actually be admitted against a defendant. To make this determination, a court must weigh whether the evidence's probative value is substantially outweighed by the danger of unfair prejudice to the defendant. Only if the court determines that Rule 403's balancing test weighs in favor of admission is the disputed evidence then placed before the jury.